Available for six to eight months starting May 1st. Split unit into a 1 bedroom 1 bath furnished apartment with a modern and welcoming touch perfect for families. 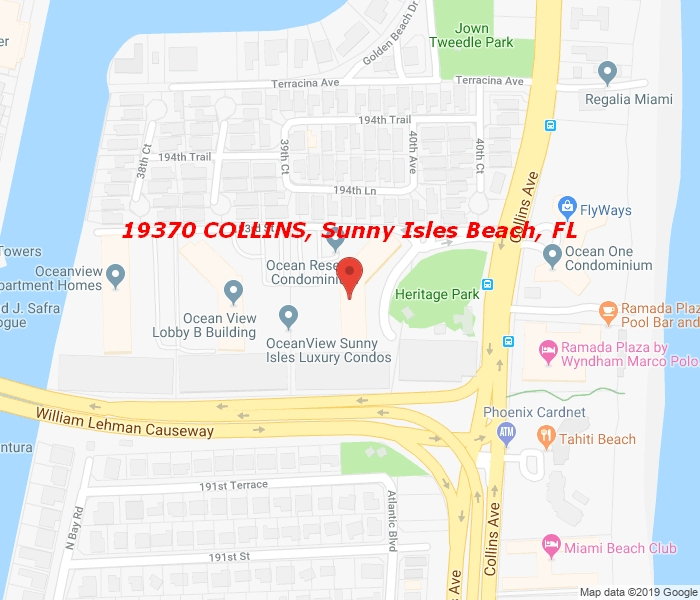 Stunning views of Collins Ave and the Ocean! Located in the heart of Sunny Isles minutes from Aventura Mall and many restaurants. The prestigious Ocean Reserve building is just minutes walk to the beach and features many amenities including High-Speed Internet, Cable TV, Pool, Gym, Tennis courts, Barbecue Lounge, Social room, 24-hour security, Valet parking and much more! One bedroom or studio options are also available, contact the number in the broker’s remarks for more info.